A demo of the reading experience. In the app, you touch the seed on the left to trigger the animation. 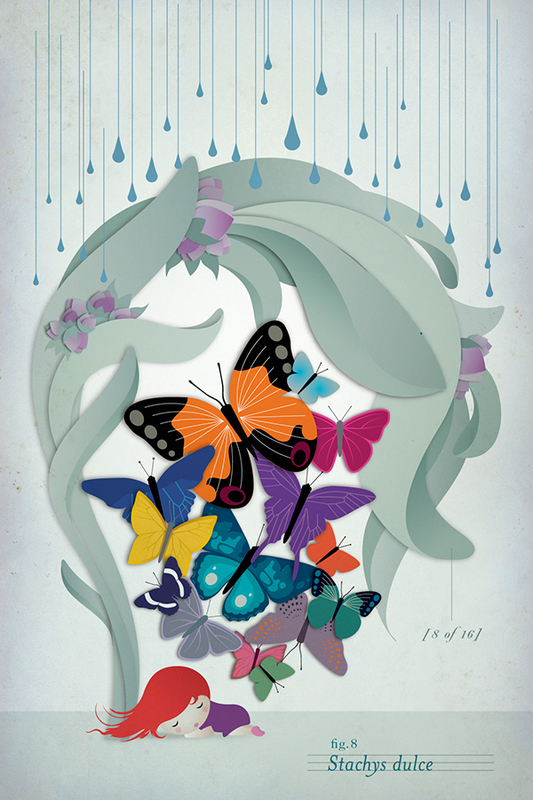 Mother and daughter authors J.C. Herz and Eve Scott take readers on a vivid, interactive adventure whose literary language and exquisite animated illustrations are deeply evocative. The narrative and imagery opens the door for even young children to reflect on their own behavior and moral choices. 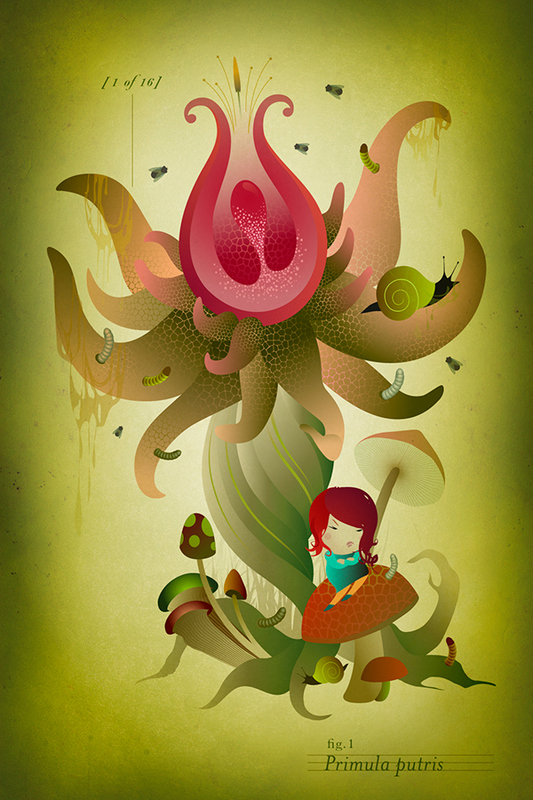 DDF’s lush illustrations and animations fuse art and technology to create a fairy-tale world bursting with life. 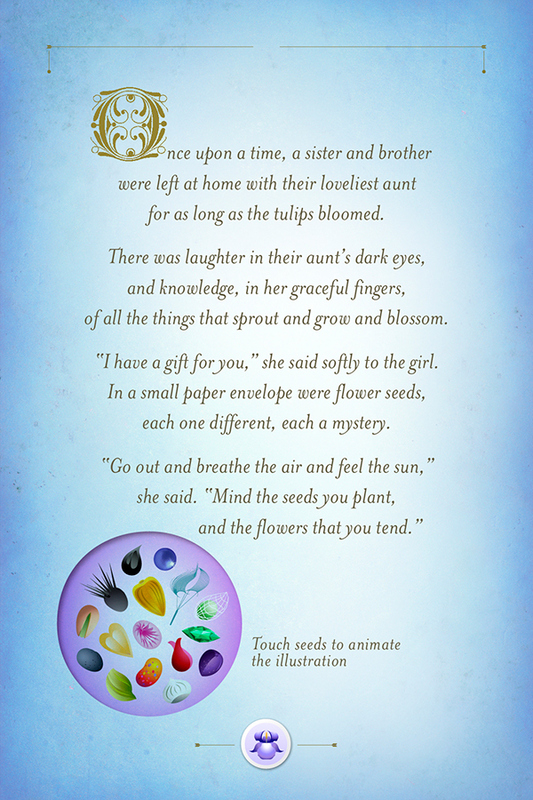 Echoing a touchstone of science fiction, Neal Stephenson’s Young Ladies’ Illustrated Primer, the book’s interactive platform gracefully animates each capsule story, triggered by touch, as seeds sprout, grow, blossom, and attract insects and animals. DDF’s embedded technology gives readers the opportunity to share the garden’s seeds with their friends.